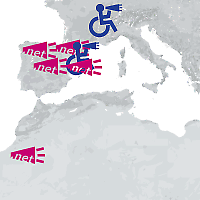 Since 2004, megafone.net has been inviting groups of people marginalized within society to express their experiences and opinions. Using mobile phones they create audio recordings, videos, text and images that are immediately published on the Web. Participants transform these devices into digital megaphones, amplifying the voices of individuals and groups who are often overlooked or misrepresented in the mainstream media.